As an April Fool’s Google Japan made a Flick physical keyboard. Designed for those who, accustomed to a flick keyboard on Android / iOS, is no longer able to use one for traditional computers. The website introduces it very well, even though he exaggerates with the functionality, with a laser tracking system that would look unrealistic even in science fiction movies. 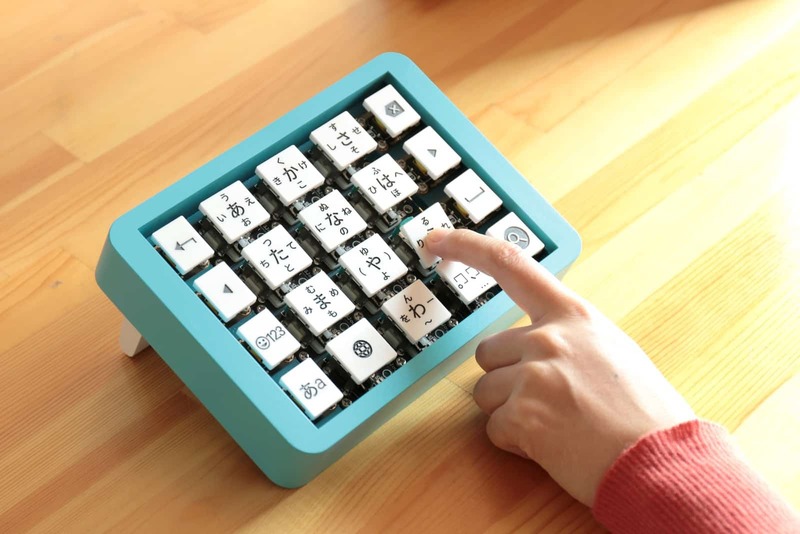 What’s really interesting thing is that they made available the source code: one could actually make this keyboard at home with Arduino, although it lacks a fundamental thing: the files for the 3D printer. Yes, I can recreate it at home, but the little box and cute keys? You have to design them yourself. Which it is quite different than the cool prototype shown in the video. However, it works. With 12 analog nubs from a PS2 pad, they convert the 24 analog inputs to digital using three MCP3208 ICs, using only 5 digital inputs on the arduino nano, while the nub click is directly connected to the remaining 12 digital/analog inputs. After that, the program communicates via serial port with a card, and is seen as a bluetooth keyboard. Despite the cool looking prototype, in my opinion it’s actually awkward to use. If each key is using a PS2 analog stick, the click is much harder than one key on a standard keyboard, ok, maybe you can write a sentence, but a longer text? Best wishes! Comments disabled due to an enormous amount of spam on this specific page.